Pennsylvania Family Institute Unprecedented Pennsylvania Primary – Do you know about the candidates? Every judicial election matters but this year has extra importance for Pennsylvania; highlighted by an unprecedented three State Supreme Court seats being filled. Often for every judicial election it can be difficult to find information about the candidates running. 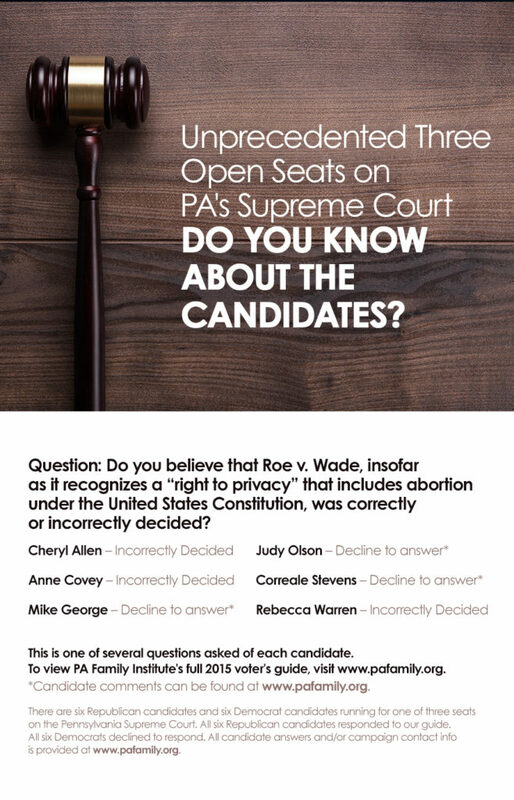 That’s why we at the PA Family Institute put efforts into creating our 2015 Judicial Primary Election Guide: a comprehensive, non-partisan, church-friendly guide to help you make an informed decision on May 19th. 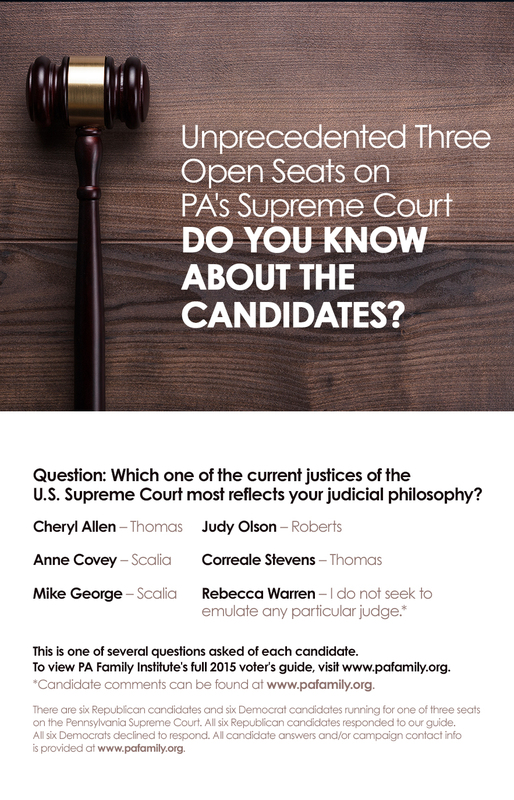 For more detailed information about some of the Supreme Court candidates, click here.